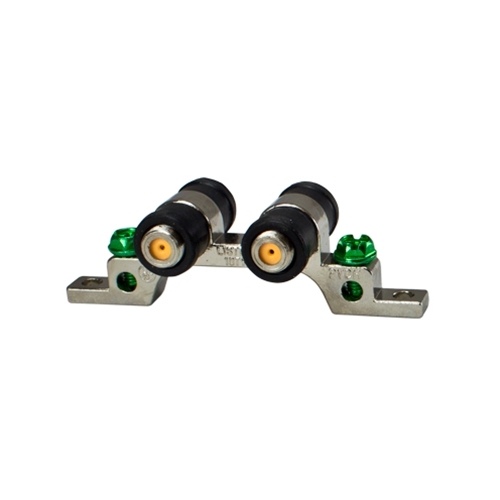 We offer this dual ground block with weather seals, which has two F81 connectors and two ground screw lugs. It is primarily used to ground coaxial cable from antenna, cable, or satellite to a ground rod. Ground blocks should be installed near the point where the coaxial cable enters the dwelling.